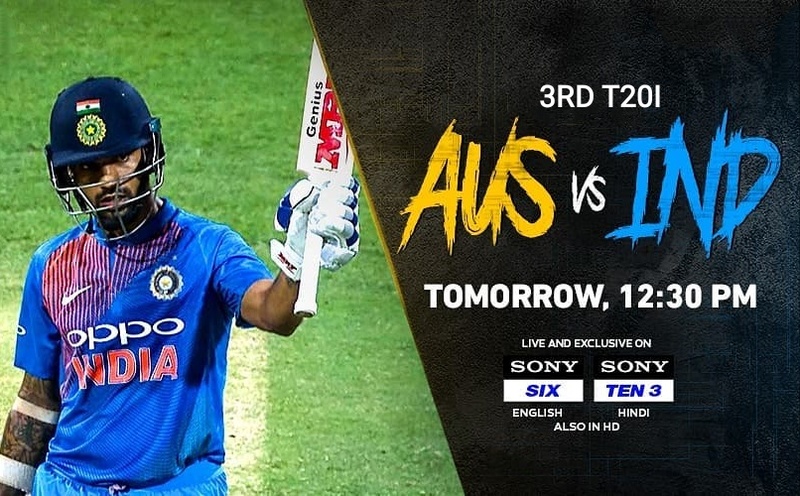 The 2nd T20 match played in Melbourne between India and Australia turned out to be a rain spoiler with that the hosts are still leading by 1-0. Now, the third and final T20 match will be played in Sydney Cricket Ground (SCG) at 1:20 PM on Sunday. It's a do or die game of India, While, Indian captain Virat Kohli will be looking to win and level the series 1-1. The match will be broadcasted on Sony Six and Sony Six HD and streamed live on Sony Liv app and Jio TV. India's fearless opening batsmen Shikhar Dhawan is just 52 runs away from making history. It is noteworthy that Shikhar Dhawan played a good inning of 76 in the first T20 but in the second match, he did not get the bat. Dhawan has scored 648 runs this year, If he scores 52 more runs in the third T20 match, then he will become the first player in the history of T20 cricket to score 700 runs in a calendar year. 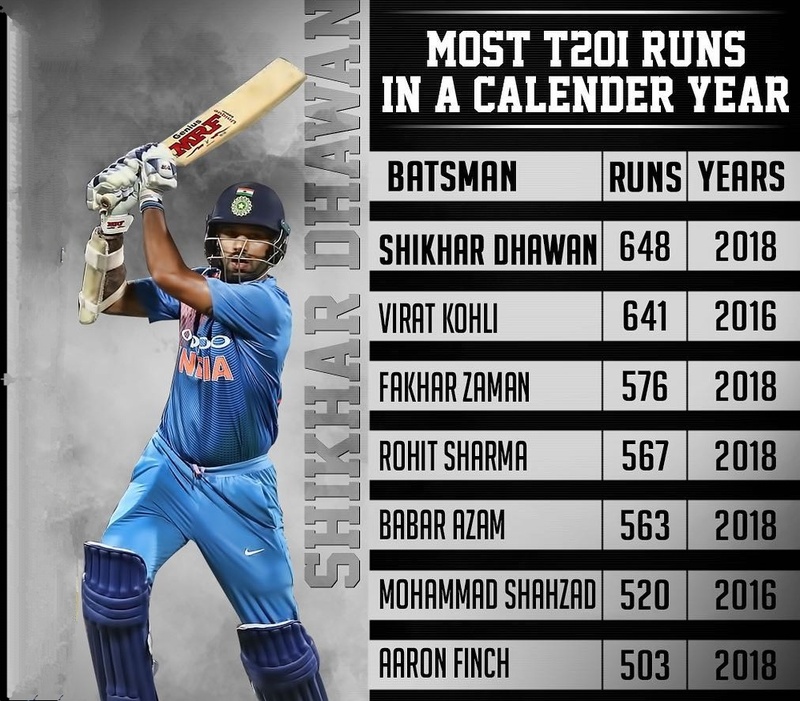 He is already ahead in the case making most T20 runs in the calendar years, he overtook Virat's 641 runs in the first T20. 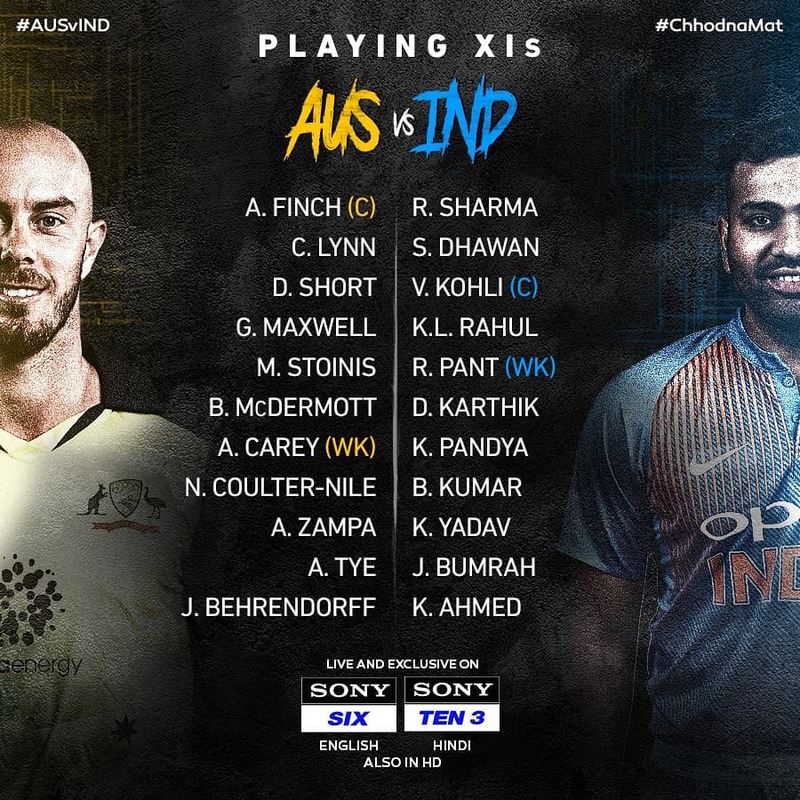 Rohit Sharma, Shikhar Dhawan, Virat Kohli (c), KL Rahul, Rishabh Pant (wk), Dinesh Karthik, Kunal Pandya, Bhuvneshwar Kumar, Kuldeep Yadav, Jasprit Bumrah and Khaleel Ahmed. So Friends, According to your opinion? Can Shikhar Dhawan create this world record in the 3rd T20? Do send us your valuable feedback below.